In Dairy Risk Management, Execution Matters. Our trading desk has the resources and experience necessary to deliver quality order fills, reporting and reconciliation. Our strategy team offers viable alternatives for managing multiple risk scenarios. The result: convenience, confidence and potential cost savings. 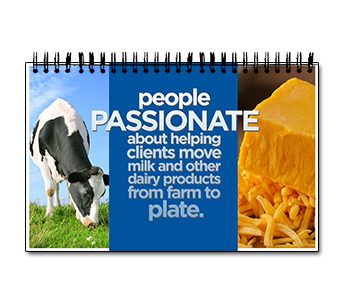 In a dairy marketplace that has seen much change over the past 20 years, at least one thing has been true each and every day: our participation. From the first cheese trade in New York in 1993 to yesterday in Chicago to wherever necessary tomorrow, the Blimling team executes the orders customers need to manage risk. All of this happens at competitive commission rates. And, it happens in a “customers first/customers only” environment as we don’t trade for our own accounts either as individuals or as a company. Customers benefit from our execution in three ways. First, a conversation around strategy. What are the risks to manage? What tools offer the best potential for success? Second, order handling. 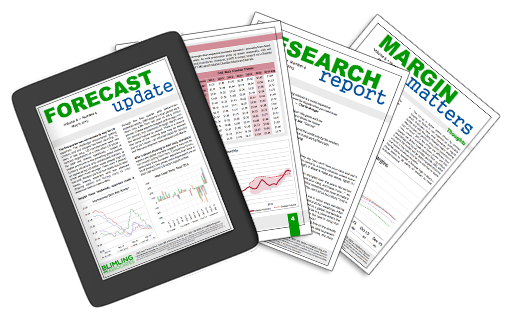 An experienced trading desk team navigates thinly traded markets. Third, a thorough, time-tested end-of-day process delivers fast, accurate reporting—in customized formats. Firms across the global supply change leverage our services, including producers, cooperatives, manufacturers, end-users and traders. Blimling utilizies order execution on Globex via industry-leading OAK Desktop, QST and APEX trading platforms. An experienced team headquartered in Madison, Wisconsin, with branch offices at the CME and in California. Our mission extends beyond order handling and execution. We take a long-term view to our client relationships, dedicated to continuing customer education. We handle orders with care, offer best-in-class reporting/reconciliation, and provide quality service at competitive rates. 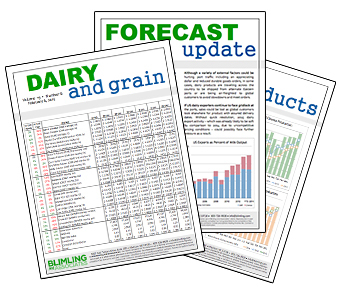 Take a few moments to browse the Blimling Brokerage flip book or receive a copy of our most popular risk management publications. Exchange-traded futures and options execution comes via Roger W. Blimling, Inc., a guaranteed introducing broker to ADM Investor Services — a leading, strong Futures Commission Merchant. We deploy multiple platforms to access electronic markets. Whether the strategy is simple or complex, short-term or long-term, our team is ready to deliver with deftness and discretion — daily. The information presented herein does not constitute a solicitation to buy or sell futures/options contracts. Futures and options trading involves risk and may not be suitable for everyone; contact a licensed futures professional for guidance.